I am a little bit late with this post however I know that it is always good to share. Teachers are great at filing away ideas for next year. 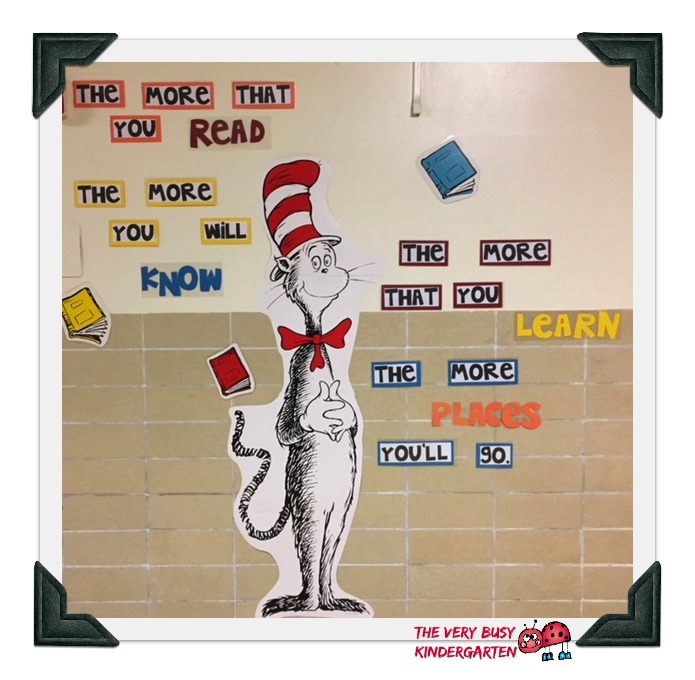 I was able to purchase this 5 foot Cat in the Hat from Really Good Stuff so it saved me a lot of time organizing. The rest of the words I typed up and cut out. The colorful letters I cut out and laminated together so that it would be easier to hang up. 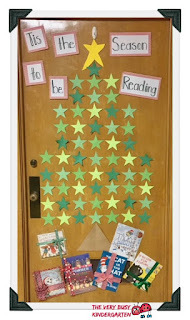 Then I found this adorable door decoration idea on Pinterest. My room is on the left and the library is on the right. 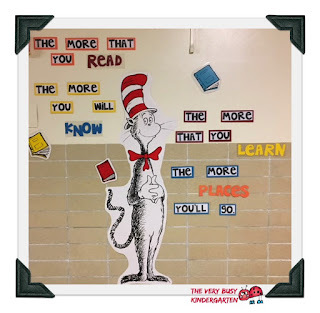 This is the perfect decoration for the reading rooms at our school. I was able to project the face and numbers on the smartboard and traced them. Then we purchased the blue tissue paper(1 package per door) and put them up with double-stick tape. 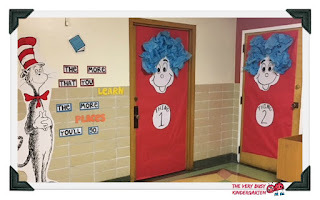 The children at school just love the doors. The kindergarteners are beside themselves. 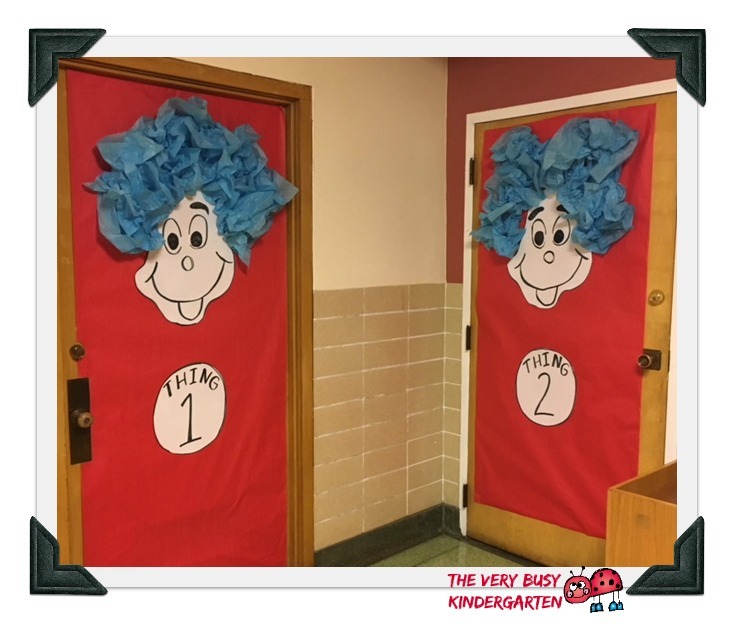 They smile and laugh as they come down into the reading corner. Oh Snap! Reading Is Fun! This is my door decoration for the winter months. 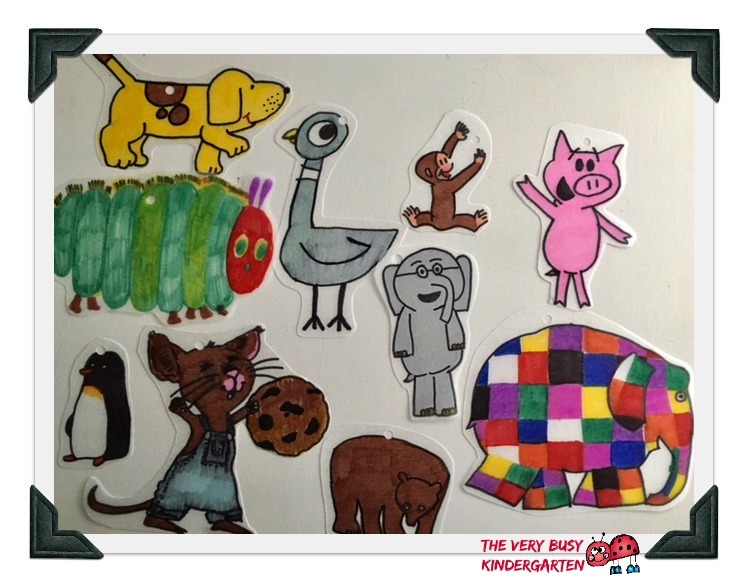 I have such a short time with my little kiddos and we spend our time reading and playing academic games that there is no time to do student art work. So I had to be a bit creative with my door decoration. My kids love taking their pictures so it was fun. I just enlarged some clipart from Graphics from the Pond and added their sweet pictures. 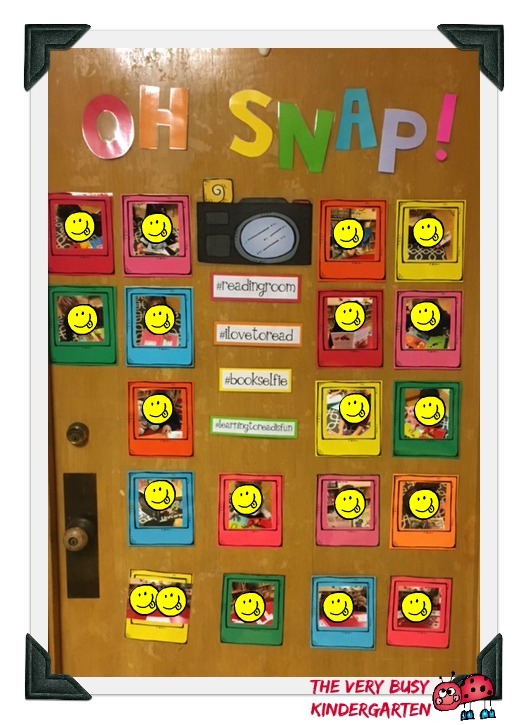 This is a easy idea but I cannot tell you how much joy the kiddos have finding their picture each time they come down to my room. They enjoy showing their friends where they are and talking about the different book characters the children are holding. Here is the wall outside my reading room. I wanted to do something that would encourage the children to read and incorporate winter and Valentine's Day. This is an idea similar to what I found on Pinterest. It was very simple to make. Olaf was made by Grace, a former kindergarten/first grade student of mine who is now in fifth grade. I had some book jackets that fit perfect for this purpose. 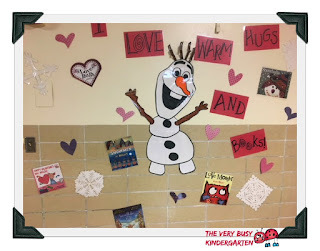 Then I cut out some simple hearts and the librarian at my school cut out some snowflakes. I wrote out the words "I love warm hugs and books." in fancy letters. That's it!! The kiddos just love it. I love that it is bright and cheerful and it reflects my love for reading. I haven't shared much this school year because I have been logging in a lot of books in the reading resource room. I have NO prep time so the little bit of free time I do have I am logging and shelving books. I really didn't think it would take me this long to log in books. 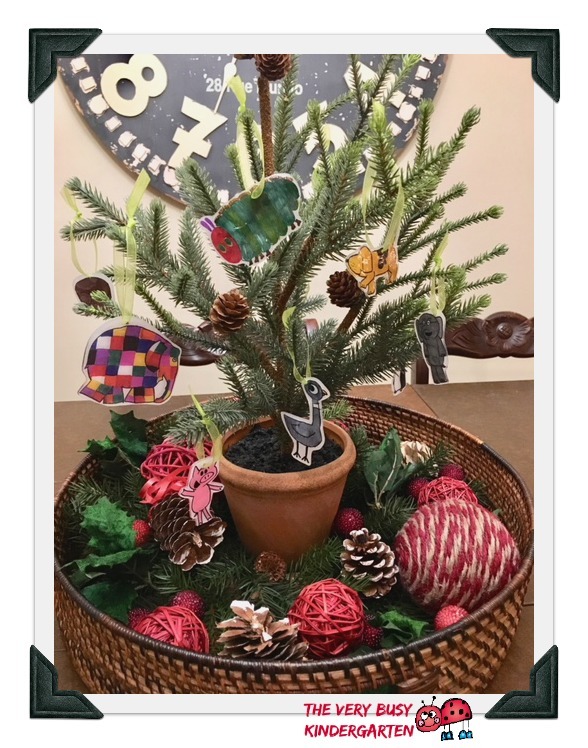 I was a bit inspired by Instagram with the Christmas book decorating. 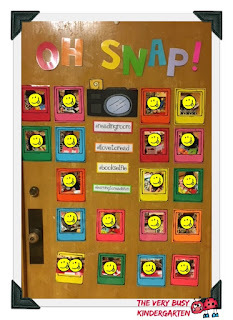 I only have a short amount of time with my reading groups so I didn't have time for my students to create something. Therefore, I put together something quick and simple for my reading classroom door. As you can tell from my lack of blogging my time and focus right now is divided between family and school. So this door had to be simple. I cut out stars with the paper cutter at school and used some old dust jackets from some books. I added some ribbon and there you go, so simple Christmas door. I did take some "me time" to do a project I wanted to do for some time. I had this idea in my head and it took me a while to pull it together. However once the pieces fell in place it came together so easily. 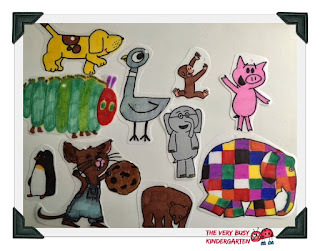 I traced book characters on Shrink-E-Dink material using Sharpies. Before I put the characters in the oven I punched a hole on the top so I could place a ribbon through each one. Now these adorable characters are hanging up in my reading classroom. I enjoy watching the children come into the room each morning to look at the characters on the tree. The younger students seem to be surprised each time as if new characters are added. What!!! I can't believe my last post was October!!! Time is going to fast right now. Life is going to fast right now! I have a couple things I want to share with you in December that have been working well for me these past couple months. 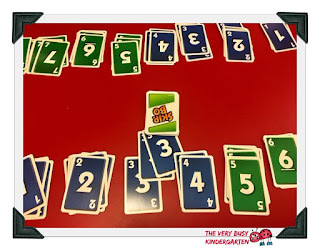 I am using Skip Bo cards to teach number awareness to the little four year olds. They think they are playing cards with me and that's even better. But these little guys need to learn to recognize their numbers to 10 by Christmas. On this day we are working on our number awareness to 8. As we draw a card we put the cards in number order. Then each time a student pulls a multiple number they just lay it on top. 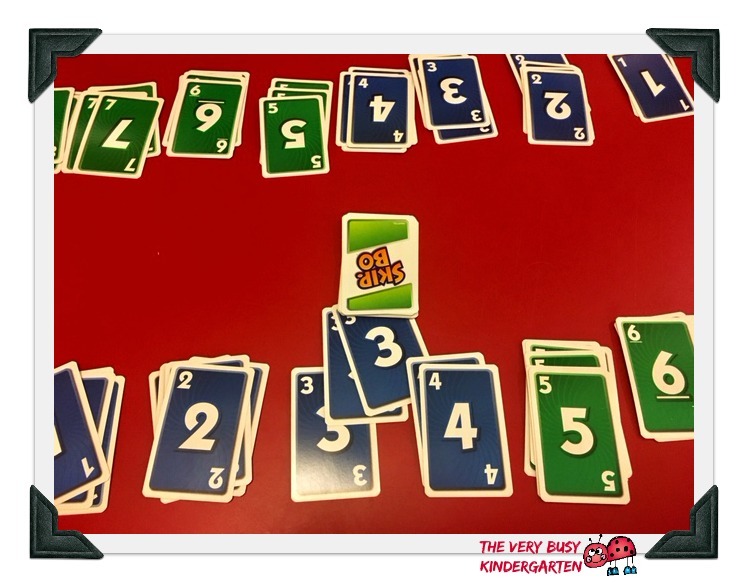 If they can not recognize the number, they just count down the row of cards until they can match the cards. The game is simple however, it is great practice and review. 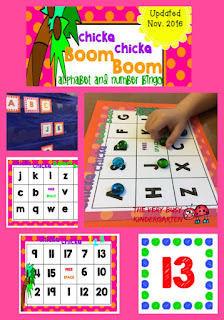 They kids love the game and I have noticed improvement each week in their number awareness. 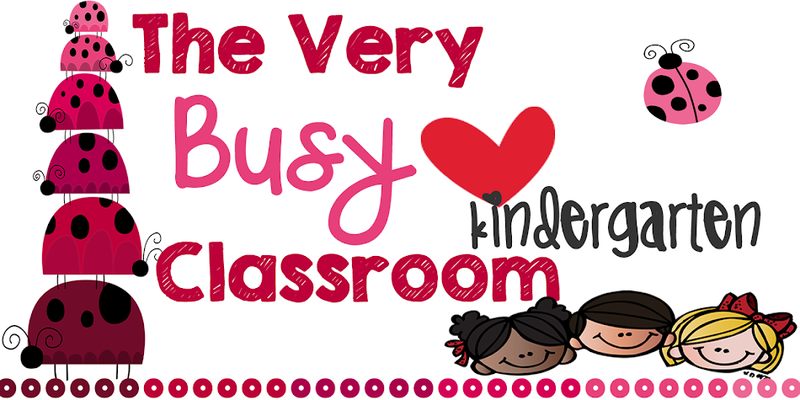 The intention of TVBK is to share what is happening in my kindergarten classroom. 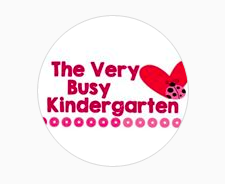 The ideas I am sharing on TVBK I have collected over the last 20 years of teaching from books, workshops, websites blogs and now pinterest. I am getting better at remembering and siting my sources now that I have a blog but things that I have been using for years and years I may not have the original source. I am sorry if I offend anyone. That is not the intention of my blog. 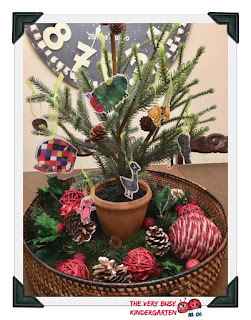 You may pin and be inspired by ideas on my blogs. :). Simple theme. Powered by Blogger.